The website and all content, material, information, suggestions, advice, names, text, graphics, pictures, logos, icons, images and links relating to industrialmetalcastings.com, is provided on an 'as is' basis, without any representation or endorsement made and without warranty or guarantee of any kind, whether express or implied, including without limitation, any warranty of merchantability, non-infringement of intellectual property rights, completeness, compatibility, reliability, accuracy, security, satisfactory quality, suitability or fitness for any particular purpose. Industrialmetalcastings.com does not endorse or subscribe to the suggestions, advice and views of the authors of the content. 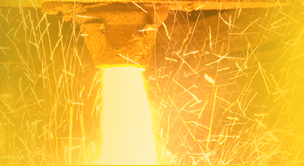 The visitor understands that except for the information, products and services clearly identified as being supplied by industrialmetalcastings.com, industrialmetalcastings.com does not operate, control or endorse any information, products, or services appearing on the website in any way. Industrialmetalcastings.com does not warrant that the files available through the website, if any, (for downloading or otherwise) will be free of infection or viruses, bugs or other codes that manifest contaminating or destructive properties. 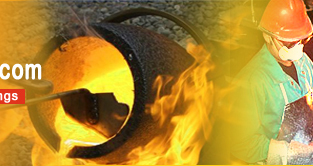 Industrialmetalcastings.com does not warrant that the functions contained in the material available on or comprised in the website will be uninterrupted or error-free, or that any such defects will be corrected by industrialmetalcastings.com. Industrialmetalcastings.com does not make any representation with regard to the full functionality, accuracy or reliability of the website or the server that makes it available. In no event shall industrialmetalcastings.com be liable for any damages whatsoever, whether direct, indirect, special, consequential and/or incidental, including without limitation, damages arising from loss of data or information, loss of profits, business interruption, or arising from the access and/or use or inability to access and/or use content and/or any service available on the website, even if industrialmetalcastings.com is advised of the possibility of such loss. Industrialmetalcastings.com may change content at any time without notice. Neither does industrialmetalcastings.com makes any commitment to update the content.